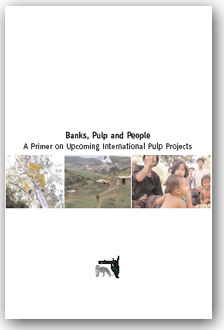 Thailand’s two largest pulp and paper producers are planning to expand. By Chris Lang. Published in WRM Bulletin 36, July 2000. Over the last decade or so Thailand has seen repeated protests against eucalyptus plantations. 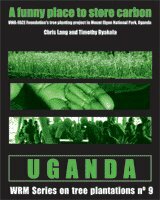 Villagers have taken part in marches, uprooted trees, set fire to plantations, declared their lands “eucalyptus free” and reclaimed plantation land by regenerating community forests (see WRM Bulletin no. 8). 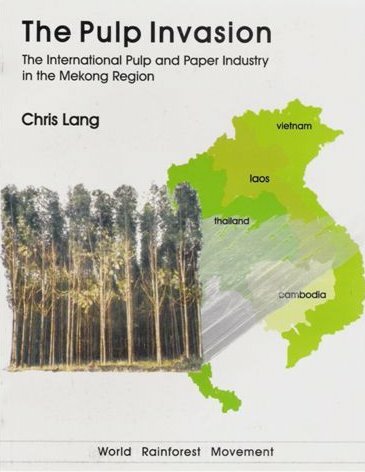 Despite these protests and the problems associated with eucalyptus plantations, Thailand’s two largest pulp and paper producers Phoenix Pulp and Paper Plc and Advance Agro Plc are currently planning large scale expansions. Phoenix plans to more than double its production capacity by adding a 270,000 tonne-capacity mill to its operations in Khon Kaen, at a cost of US$450 million. Advance Agro is planning a new 750,000 tonne-capacity plant in a joint-venture with the Chinese government. The cost of Advance Agro’s new mill and the associated eucalyptus plantations is estimated to be US$1,000 million. 80% of the output from Phoenix’s new mill would be for export, while Advance Agro’s new mill would produce pulp entirely for export to China. Phoenix management is negotiating with the Swedish and Finnish governments attempting to arrange low-interest loans to fund the expansion. Phoenix funded a previous expansion, Phoenix II, constructed between 1990 and 1994, with interest-free loans from the Finnish and Swedish governments. The Finnish companies Jaakko Poyry, Sunds Defibrator, Ahlstrom, Suomen Puhallintehdas, Sahko Lahteenmaki and Valmet Automation subsequently benefitted from contracts to supply technical advice, designs and machinery for Phoenix II. Part of the Finnish government’s justification for funding Phoenix II with a US$91 million “pre-mixed concessional credit” was that it would help improve the environmental performance of the Phoenix mill. Part of this “improvement” included the misnamed “Project Green”, through which Phoenix, since 1994, poured its waste water onto farmers’ fields (see WRM Bulletin no. 15). The waste water is supposed to irrigate farmers’ eucalyptus trees, but villagers living nearby report that their underground water sources have become salty, fish in their ponds have died and rice harvests in fields adjacent to Project Green have failed. Hundreds of local villagers filed complaints against Phoenix in 1995 and 1996, resulting in out-of-court settlements totalling around US$80,000. In addition to problems with “Project Green”, the Ministry of Industry has repeatedly ordered the Phoenix mill closed on the grounds that it has polluted the nearby Phong river. In August 1998, the Finnish Minister of Development Cooperation Pekka Haavisto described the loans to Phoenix as “a mistake that Finnida made”. 1999 saw the end of a six-year takeover struggle for Phoenix when Lalit Mohan Thapar replaced George Davison as chairman of Phoenix. According to Davison, much of the financing for the takeover came from the Bangkok Bank of Commerce (BBC). The BBC is notorious for its role in one of Thailand’s biggest ever financial scandals in which around 200 billion Baht (about US$8 billion at the time) disappeared from the bank. A group of Thai politicians, known as the “Group of 16” used money from the BBC to fund takeovers of Thai companies, including Phoenix. Davison described the takeover as “government condoned theft”. The value of shares in Phoenix has fallen from 140 Baht (US$5.6 at the time) in 1995 to 34 Baht (less than US$1) in June 2000, and the company now has debts of around US$80 million. Located at Tha Toom in Prachinburi province, approximately 120 km from Bangkok, Advance Agro is one of Thailand’s newest pulp and paper mills. Production started in 1996, and in 1998 a second mill came on line boosting capacity to around 310,000 tonnes. The mill was built by the Soon Hua Seng (SHS) Group, one of Thailand’s largest companies. Ten years ago employees of the SHS subsidiary Suan Kitti were arrested for clearing forest to make way for eucalyptus plantations. 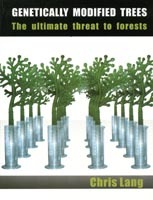 The resulting uproar prompted then Prime Minister Chatichai Choonhaven to prohibit all commercial “reforestation” in National Reserve Forests. The mill was originally to be the “Suan Kitti Pulp Mill”, but in order to distance itself from public criticism associated with Suan Kitti, SHS swiftly renamed the mill Advance Agro and hired the Finnish-owned Presko public relations firm for advice on minimising any further environmental criticism. 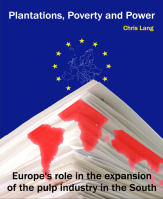 CIDA, the Canadian aid agency, subsequently funded the Canadian consultants H.A. Simmons to work for SHS, and the UK Commonwealth Development Corporation (CDC) provided loans and debt finance for the mill. The company’s main shareholders are the Soon Hua Seng Group (56%), StoraEnso, Europe’s largest pulp and paper producer (19%), Oji Paper, Japan’s largest paper producer (5.5%) and CDC (1%). Stocks in Advance Agro have fallen from 73.48 Baht in 1997 to 17.25 Baht in July 2000, and the company has huge debts of almost US$640 million. At present the mill obtains its raw material supplies from 31,000 hectares of eucalyptus plantations managed by Agro Lines, a subsidiary of the SHS Group, and 57,000 hectares of eucalyptus grown by 6,000 farmers under contract to Agro Lines. The proposed expansion of Advance Agro would require a further 40,000 hectares for plantations and another 80,000 hectares for contract farming. Plodprasop Surasawadi, Director General of the Royal Forestry Department (RFD), stated in March 2000 that his support for the project was conditional on the joint venture “negotiating” with villagers living in forest land and “paying compensation to those who agree to return the land.” Villagers would therefore be kicked off their land, paid off, and the land given to the RFD which would then lease it to Advance Agro to grow eucalyptus. The so-called “degraded forests” which would be converted to monoculture eucalyptus are both valuable to villagers and support local wildlife. 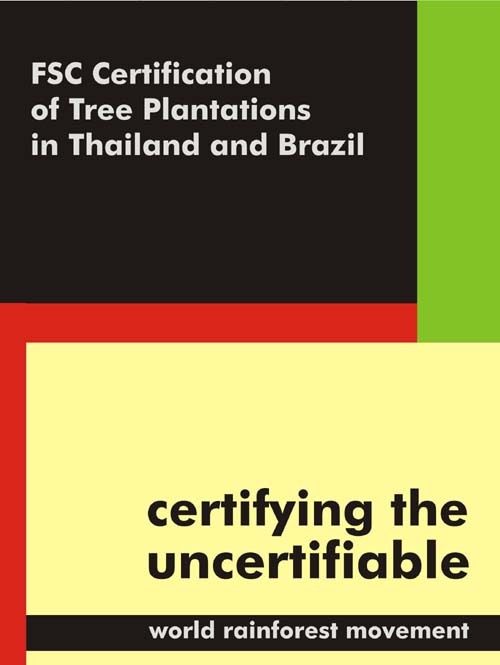 According to the Bird Conservation Society of Thailand, the lowland dry dipterocarp forests under threat from both proposed expansions provide habitat for globally threatened birds such as the Rufus-winged Buzzard and the white-rumped Falcon.